For storage areas and premises with no open-package production, it is recommended to use electrical flytraps with an electric grid. It is a cost-effective and efficient flying insect control solution for the inside area of the facilities. 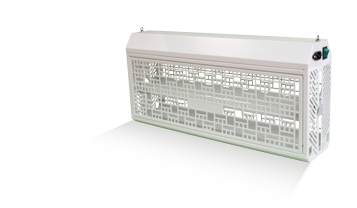 Gefest is a budget, yet one of the most effective insecticidal lamp models, equipped with an electrical grid that is supplied with the impulse of high electrical current. Special spectrum of light attracts flying insects onto the high voltage metal grid (electrode) inside the flytrap, which kills the insect instantly. Dead insects fall into the tray at the lower part of the device. 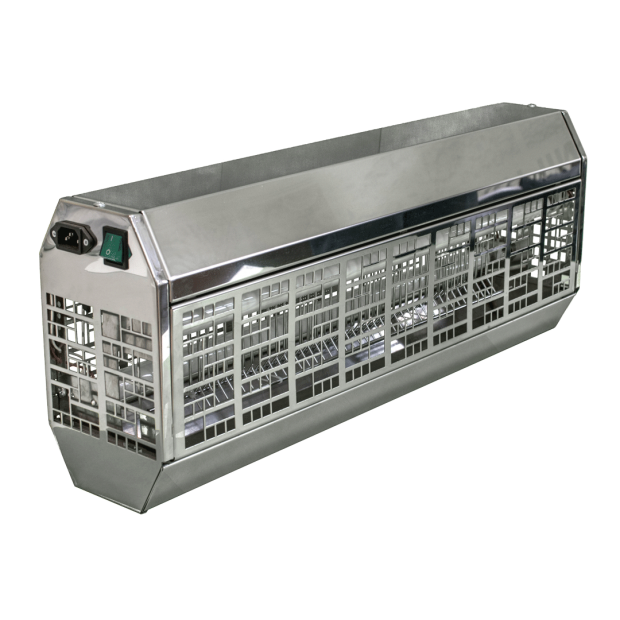 The tray can be easily removed and cleaned, which corresponds to the hygiene and sanitation requirements. 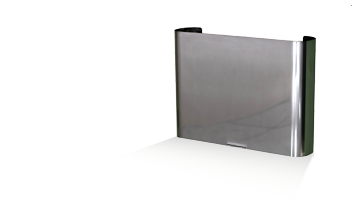 Gefest is offered as a stainless steel or painted metal model with wide-range of color choice. 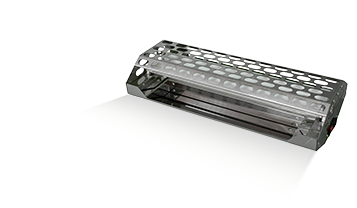 Insecticidal lamps work by the following principle: the light of the fluorescent tubes operating in wavelengths of 300-400 nanometers, i.e. the range, that is well perceived by insects (flies, fruit flies, wasps, horseflies, mosquitoes, etc. ), lures the flying insect that is further striked by the impulse of electrical current from electrical grid inside the lamp. 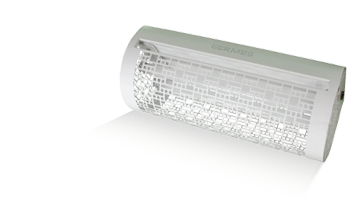 Electrical flytrap Gefest is supplied with two protected fluorescent tubes.